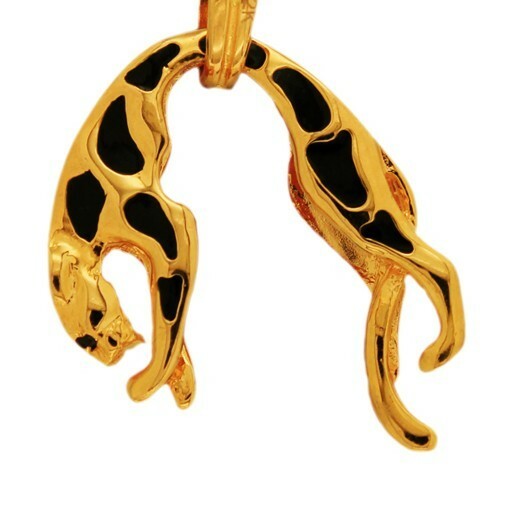 A 22 karat golden pendant crafted in the form of a powerful cat embellished with stunning sleek black onyx. 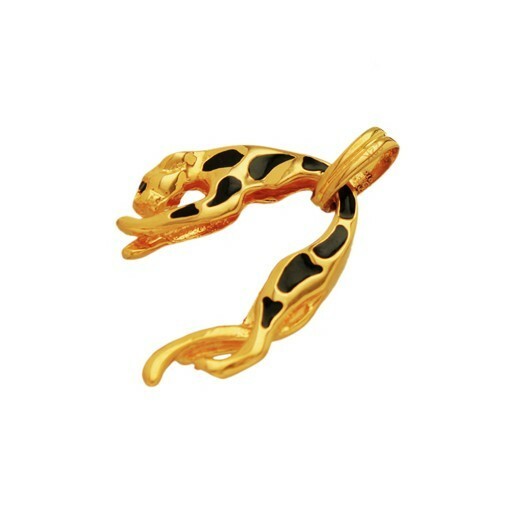 A piece of jewellery that reflects the artistry and the powerful movement and beauty of the wild. 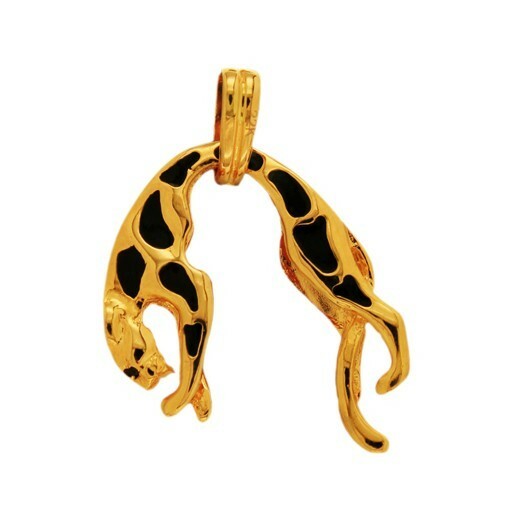 A truly spectacular piece of crafted gold.